In our last post we shared amazing photos and ideas to freshen up your dining room by ditching that rectangular shaped table for an exciting new round or oval shape. 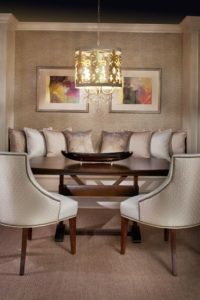 Today, we will add to that collection of updated dining room ideas with the perfect square. The square table we’re talking about is not your grandma’s card table she uses for her bridge parties…oh no, it is typically oversized and can seat between eight to sixteen. 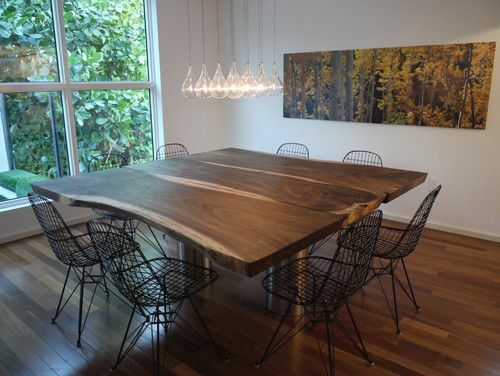 The Jigsaw designers love bench style seating because it brings intimacy to the dining room like in the image below. Take that a step further with cozy built-ins and loads of pillows. 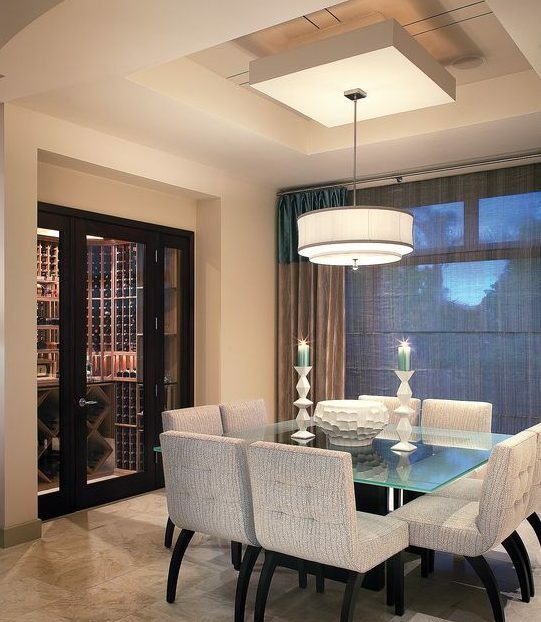 How sumptuous this space looks for an evening with friends over a great meal and fine wine. 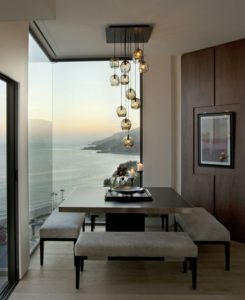 Meanwhile this industrial square table gets a touch of mid-century with the Eames chairs and glam sputnik-style chandelier. 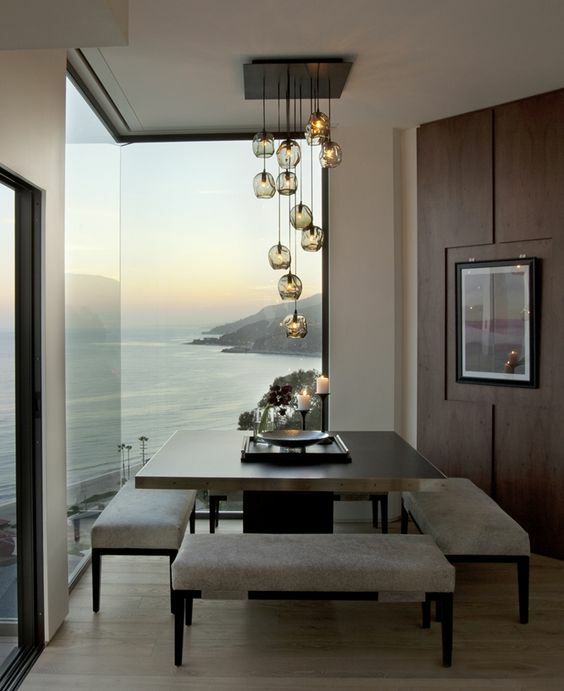 The square table balances the space so beautifully. 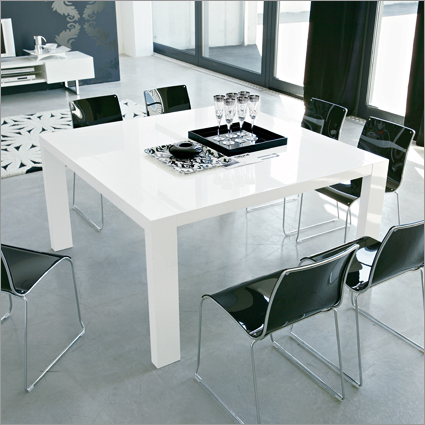 Get the above look at Living Spaces with their Tahoe II square table. It’s ultra versatile and rings in for a very reasonable price of $995. 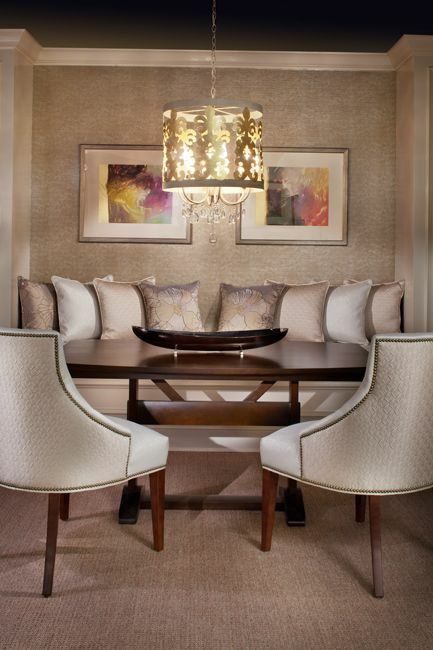 Dress up a simple square table with tufted chairs and benches, or a dramatic chandelier for big impact. Looking for something simple and modern? Calligaras makes a brilliant mod table in glossy white lacquer. This Italian made beauty comfortably seats up to eight guests for the perfect dinner party. For more information about dining table trends or items used in this blog please leave us a comment. 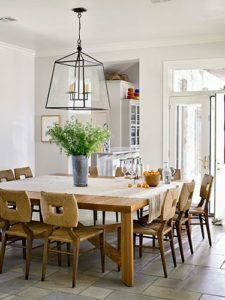 Have a favorite square table? We’d love to hear about it. Please be sure to subscribe to the blog, and check out our Facebook page for the latest news and offers.